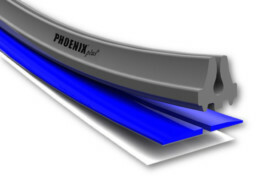 Our quest to produce the most durable plastic-based matrix possible Phoneix + incorporates our latest research into new raw materials and adhesives. Producing the very best Matrix we can offer.This product has been designed in line with the continued demands for larger production runs. This is a non-compromising solution for your creasing needs. Reducing the downtime of your production machinery, saving you time and money. New High QualityAdhesive. No need for cleaning the platen. Specially designed locators. Self-locating in the channel. High Impact Plastic. The very latest in polymer technology. Extremely smooth shoulder profile for use on high-speed machines. 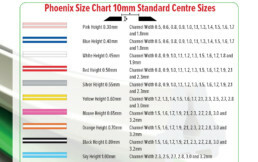 Colour coded for height and printed on both the base and locator for easy identification.